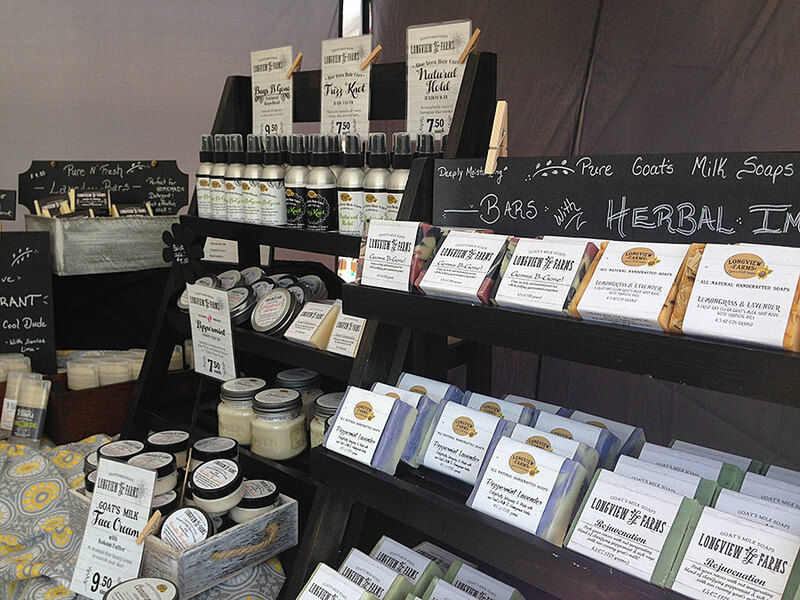 What makes handcrafted soap better for you than commercial soap? Longview Farms Natural Goat’s Milk Soaps are carefully handcrafted in small batches with only pure and beneficial ingredients. 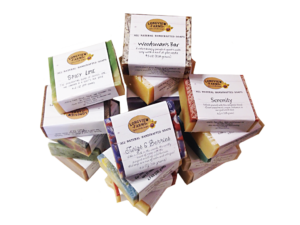 We offer soaps that are free of harsh chemicals, dyes, and additives. They are packed with moisturizing and rejuvenating ingredients which make them gentle and refreshing to your skin – and you can pronounce all of our ingredients! We use no cheap filler oils, no thinning of our luxuriant oils, no short cuts whatsoever! Homegrown herbs, essential oils, quality fragrance oils, spices, and natural mineral pigments are thoughtfully blended in with our superior base of Goat’s Milk, Coconut, Olive and Palm Oils, resulting in a bar of soap, delightful to both your senses and your health! The biggest difference, however, between Longview Farms Natural Goat’s Milk Soaps and commercially manufactured soap is the glycerin content. Commercial soaps have most – sometimes all – of the naturally occurring glycerin removed. Glycerin is much more profitable to sell on its own than it is to leave it in soap. Liquid glycerin is used as a humectant in lotions and creams. Most commercial soap is not really soap at all. Actually, it is a detergent bar that can be harsh and drying. –And as described above, our goat’s milk bars contain all the moisturizing properties of glycerin, which naturally occurs in the soap making process, without the addition of purchased glycerin.